Ron Herdt, Broker/Owner of CityScape Real Estate, LLC was elected to the Board of Directors of Metro Brokers, Inc. at the 2014 Annual Meeting last week. This is Ron's 2nd time on the Board of Directors. "I would like to focus on growth of the organization" said Ron at the meeting. Metro Brokers, Inc. has the capacity to grow in size. Most agents who join Metro Brokers come from other companies and are already experienced in the business. On Sunday, June 30th, we had a hit and run on one of the properties that we manage. This property is in Denver, near 6th and Sheridan. I arrived on the scene about 10PM to find a sea of firemen and policemen. The entire corner of the cinderblock garage had collapsed and the building was in danger of falling down. The firemen worked to shore up the wall so no further damage would happen. The owner was notified Sunday evening that damage had occured and that an insurance claim would need to be done. I arranged for a company to come and board up the garage so the tenant's belongings would be secure and so no one would go inside the garage. On Monday morning, I emailed photos to the owner and requested they file an insurance claim. Now, here's where we are different than most property management companies. We don't charge a trip charge. So, the trip on Sunday night at 10PM was not charged. Repeat trips on Monday and Tuesday were not charged. In fact, we don't charge a trip charge, no matter how many trips to the property are needed. There will be many more trips to the property. We still have to meet the insurance adjuster, contractor, building inspectors. Then follow up trips when the work is done to once again meet the adjuster, the contractor, and the building inspector. The owners are presently out of state on a long term work assignment. We manage the property for the owner, so dealing with this hit and run incident is not big deal. Next time you are going to rent out your rental property, call us at 303-288-2400. You'll be surprised at all the services we provide for just a small percentage of the monthly rent. We deal with tenant problems, with maintenance, with payments from the tenant and payments to the owners, and problems that arise with the property, like this hit and run incident. Ron Herdt at the NARPM Southwest Regional Conference in Las Vegas this week. Ron won a drawing frrom the Mr. Rekey booth. This was 2 back-to-back conferences in Las Vegas, the first one being the Annual Broker-Owner Retreat, and the second one being the Regional Southwest Region Conference. We now have our own video equipment so look for more videos of our home, condos, and townhomes for rent and for sale. Interview with Ron Herdt, Broker/Owner of CityScape Real Estate, LLC. Ron's office is located at 2323 W. 72nd Ave., Denver, CO 80221. His company specializes in residential sales and property management in the Denver Metro Area. We now have signage on our property. We installed a Metro Broker Logo at the top with the address and ad copy under it. We still have our banner on the ramp. Best of all, we now have a lighted sign at the street! CityScape Real Estate, LLC is a full service real estate sales and property management company. We just bought this building and are set up for additional agents and Metro Broker companies. If you are interested in joining our fast growing operation, please contact Ron Herdt, Broker/Owner for details. Ron can be reached at 303-288-2400. The address of the office is 2323 W. 72nd Ave., Denver, CO 80221. Ron Herdt the Broker/Owner of CityScape Real Estate, LLC has just returned from the National Association of Residential Property Managers (NARPM) Annual Convention in Washington D.C. This is a 4 day event held each year for the members of NARPM. It's a great opportunity to meet fellow property managers, mingle with vendors, and bring home new ideas that make the company run better. "I learned how we can make videos for our available rentals using our YouTube channel. This is in addition to the multiple photos we are already using. I learned about what kind of equipment and accessories are needed to shoot a video that can be quickly uploaded to YouTube." CityScape Real Estate, LLC - New office starting June 15th! Ron Herdt attended the NARPM (National Association of Residential Property Managers) Pacific Regional Conference in Las Vegas from February 20-24, 2012. It was tied in with the Broker/Owner 2 day meeting that preceeded the event. Ron is presently a candidate for the RMP designation and should qualify for it this year at the National NARPM annual convention in Washington DC. Ron is the broker/owner of CityScape Real Estate, LLC in Denver, Colorado, a local real estate sales and property management company. Here is our CityScape Real Estate, LLC company video on YouTube. Enjoy. We had a recent review on Yelp that is simply not true. It was from a person that we don't know, who has not done business with our company, and from a city where we have no clients. It's simply a bogus posting. We've had no luck in working with Yelp to get it deleted. I asked 4 of my customers to write positive reviews so as to minimize the situation, but Yelp refused to post any of the 4 reviews. All 4 customers received confirmation of their reviews, but they never got posted for some reason. Yelp claims it has systems in place to analyze reviews, so not every review gets published. So, then, why is it that negative reviews can easily be published on Yelp, but positive ones which are true, can not? The answer is probably that Yelp probably wants reviews to be negative more than positive. At any rate, we will never use Yelp as an advertiser and we encourage you to not use Yelp either. So, Boycott Yelp if you are in the same situation. We answered the original allegation and was met with a reply. But, we can not reply to that reply. So, all it did was give this idiot a second swipe at more untrue statements. How, exactly do you Yelp Yelp? I looked up the Better Business Bureau report on Yelp and found almost 200 complaints, mostly similar in nature to our situation. 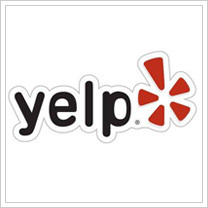 Disgruntled or former associated and employees, personal friends, or anyone out there can easily write a negative review and Yelp will likely post it, true or otherwise. At lease the Better Business Bureau gives both parties the ability to vent and to resolve the issue. There's no issue to resolve with this bogus client since there is not way to even figure out who wrote the review. The Internet is a wonderful way to advertise. But we see Yelp as a verbally abusive venue where bogus reviews are easily posted and difficult if not impossible to remove. Suggestion: Send any email from Yelp directly into your Spam folder, where it belongs. Because, any company that does not monitor it's reviews is not in the public's best interest and deserves no less than being in the Spam folder. CityScape Real Estate, LLC is now a member of the Better Business Bureau. We have an A- rating and are listed as an Accredited Business. If you would like more information about the Better Business Bureau please click on the link at the end of this paragraph. $375,000. 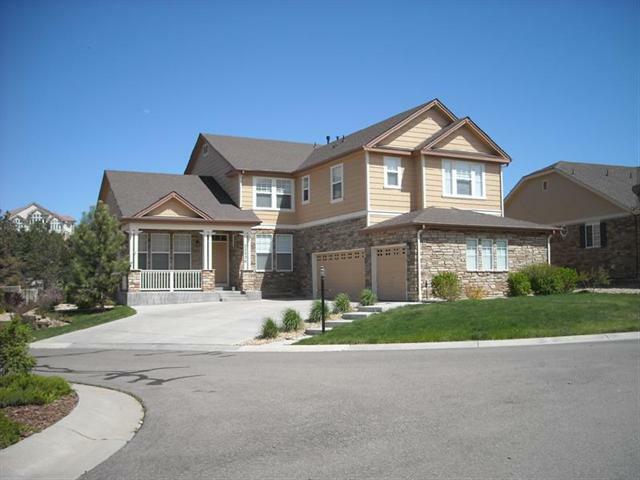 Beautiful 2 story home in Saddlerock Subdivision. Golf course community. 4 bedrooms, 3.5 baths. Backs up to open space and a creek. SORRY, THIS HOME HAS BEEN RENTED AND IS OFF THE MARKET. ANOTHER FINE PROPERTY LEASED OUT BY CITYSCAPE REAL ESTATE, LLC. Labels: Aurora, CityScape Real Estate, CO 80016, LLC - 22236 E. Glasgow Pl. Nice Bi-level in Aurora. House has 3 bedrooms, 1 and 3/4 bath, large fenced in backyard, two car attached garage, wood burning fireplace. Located close to schools, shopping and dining. Short sale subject to lender approval. 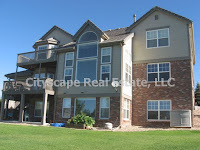 Cityscape Real Estate, LLC sells and manages property all over the Denver area and Front range. SORRY, THIS HOME IS NO LONGER FOR SALE. 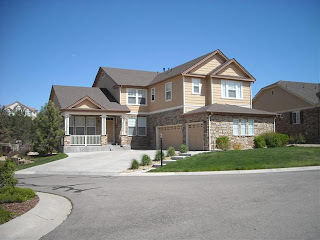 Today we uploaded our first video of a rental property, a property for rent in Westminster, CO at 10050 Holland Ct.. The video is short and consists of 2 segments, the kitchen area and the living room. The important part here, is that we have learned how to shoot, edit, and publish to our website, videos of our available rental properties. It's been said that a picture is worth a thousand words. Perhaps a video is worth a thousand pictures. 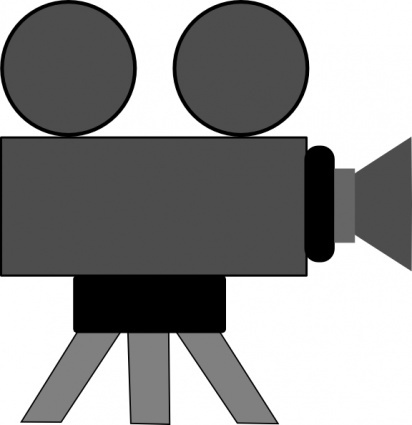 We plan on using our new video skills in the marketing of our rental properties effective immediately. Properties listed on our website with videos will have a push button to activate the video feature. CityScape Real Estate, LLC is pleased to be a new member of the Carbon Valley Chamber of Commerce. Gene Jones from our office handles property in the northern communities in the Denver Metro Area and Front Range. He is a resident of the tri-town area since 2001 and is a licensed Colorado real estate broker and an associate of CityScape Real Estate, LLC. He is a member of the National Association of Realtors, the Colorado Association of Realtors, the North Metro Denver Realtor Association, and a member of Metro Brokers. Gene Jones can be reached at 720-495-5832 or by email at cityscapenorth@aol.com. 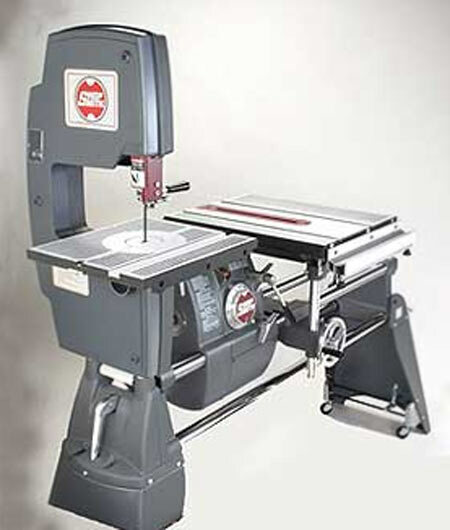 We have acquired for our maintenance department a Shopsmith Mark V Model 520, the newest offering from Shopsmith. In addition to the main Shopsmith machine we acquired the bandsaw, scrollsaw, 6" belt sander, and 4" jointer. That gives us for cutting - a table saw, bandsaw, and scrollsaw. For sanding - a 6" belt sander, a 12" disk sander, and a drum sander. Ths Shopsmith is also a lathe, a drill press and a horizontal drill press. In addition to the Shopsmith, we acquired a powered compound miter saw and a bench grinder. Combined with the tools we already had, we now have a full-service woodworking shop. Our office at CityScape Real Estate, LLC is in an industrial park. We have the luxury of an attached warehouse, the size of a 6 car garage for all our property management related equipment. Unlike most property management companies that outsource their maintenance, we prefer to keep it in-house so that we have more control, can respond quicker, and keep our owner's costs down. CityScape Real Estate, LLC has signed on with both rentalhomepros.com and rentalhomesplus.com for internet advertising of it's rental properties. Both accounts will provide advertising for all of the rentals. This is in addition to the large number of website advertisers already in place. CityScape Real Estate, LLC looks forward to wider Internet exposure with the signing of these advertisers. CityScape Real Estate, LLC welcomes Michelle Yanofsky to it's sales and property management force. Michelle will be specializing in sales and property management in the southeast metro area including Aurora, Centennial, Parker, Castle Rock, Lone Tree, Highlands Ranch, Franktown, Elizabeth, Elbert, and Sedalia. Ron Herdt, Broker/Owner and Julie Lierman CFO attended the conference in Lakewood, Colorado last week. It was a jam-packed 1 day conference. The breakout sessions were all excellent. Ron Herdt attended "Building Your Own Policies & Procedures Manual" and "Search Engine Optimization Made Easier" in the morning and "Social Networking 101B" and "Green Office" in the afternoon. Julie Lierman attended "Social Networking 101A" and "Running an Efficient Front Office" in the morning and "Collections 101" and "Green Office" in the afternoon. Julie had a wonderful surprise at the end of the day - she won a new digital camera in a drawing! If you are capable of buying a home, but haven't, now is the time. Prices are low, interest rates are low, and inventory is plentiful. Although we mostly do property management at CityScape Real Estate, LLC, we also do real estate listings and sales. We can represent you, the buyer, as a buyer agent. That means we are your agent, not an agent of the seller. The seller still pays our brokerage fee, but we are your agent, and work in your best interest. What does that mean to you? It means that we can use years of experience in real estate brokerage to your advantage. We can find you that special home at a price that you can afford, at an interest rate that is at, or near, and all-time low. There are opportunities to pick up a bank-owned property, or a short-sale, or a HUD home, which is a foreclosure that was insured under and FHA loan. Don't forget the special incentive for buying right now. You can get a tax credit on your Federal income tax return of up to $8000 if you are a first time buyer. But, hurry! The program is coming to an end very soon. There is also a $6500 tax credit for existing homeowners who wish to buy a home. But, that program is also coming to an end, so hurry. We can arrange for you to get pre-qualified before you make your purchase. It makes sense to get pre-approved, or pre-qualified for the loan first, before trying to purchase a property. If you want to find out more about buying a home, don't wait. Call our office today at 303-288-2400, or email ronherdt@cityscapedenver.com. The North Metro Denver Realtor Association (NMDRA) has an interesting annual traveling award called the Marketing Bear. It is a highly coveted award given out each year to one of their Realtor members who has shown creative marketing efforts during the year. Few of their members, however, know the whole story behind it's origin. So, without any delays, here's the scoop! I bought a plaid wool patchwork sportcoat at the Broadmoor while attending the Colorado Realtor Convention in Colorado Springs. This was sometime in the 1970's. I wore this coat to the North Suburban Board of Realtors marketing meetings throughout much of the 1980's to gain attention and market my property management company. The coat became well recognized at the meetings. It helped me get new property management leads from the Realtors at the meetings. A few years later, Carra Riley, one of the member Realtors, bought a patchwork plaid jacket while on vacation in Hawaii. Her contribution was to give out the jacket each year as a traveling trophy reminder of my crazy jacket. Many of the members thought that this was my jacket. A few years later, someone washed the jacket and it shrunk, so the fabric from the jacket was made into the cute bear shown in this photo. This bear became the traveling Marketing Bear trophy. It became a custom for each annual winner of the trophy to add to it. So, it now has an assortment of buttons, pins, a tiara, a backpack, and more. Inside the backpack is a diary. The winners have written in the diary now for a number of years. 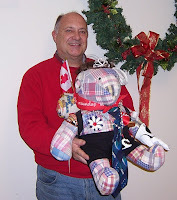 This photo is of me holding the bear at the 2009 NMDRA Christmas party. Although I have never won this award, it pleases me to be a part of it's origin. Where is the original jacket? It's hanging on the back of Rosie's office door at the board office. Next time you are in the NMDRA office, ask Rosie if she'll show it to you. THIS HOME IS RENTED. PLEASE CHECK OUR WEBSITE FOR ONE OF OUR OTHER OFFERINGS THAT SUITS YOUR NEEDS. We manage a large number of high end single family homes. Generally these homes are not purchased for rental. Instead, the owners could not sell them in the current market and are renting them through us instead of leaving them vacant. We call these types of owners "Unintentional Investors." It works well for the owner of a high end property to rent it instead of taking a huge loss in the sales market. The sales market should rebound in the future giving the owner an opportunity to sell the property for more money. We have excellent tenants in these homes. In most cases, the tenant takes the same care of the property as the owner. We pride ourselves in closely matching the tenant to the property so that everyone is happy. The Craigslist Tenant Scam - Watch Out! If you are a prospective tenant and you are looking on craigslist.org for a rental property, be careful. Never send money out of state, or especially out of country, to anyone. The scam is that you are paying "missionaries in Africa" a reduced rent because they don't need all the money. Because you think it's such a great deal, you forget to check the basics, and send them a deposit, or deposit and first month's rent. But, the people in Africa are not the owners, just scammers. It's easy to check public records to see who is the owner of a property. Better yet, do business with us, or any other NARPM member company. We watermark all our photos on every website. Any ad by CityScape Real Estate, LLC has our website on it. That reduces the scammer problem big time. However, it doesn't stop it. We had a scammer advertise one of our properties using photos taken from some other property. Just be careful on responding to any ad that is not being run by a property management company. In summary, do not send money out of state, or out of country for any rental property. If the owner does not have a property manager here in the Denver Metro Area, you are probably being scammed. At best, you are renting from an absentee owner with limited contact. What will you do when the furnace quits on a cold day, or the hot water heater quits? Today a tenant stopped by to pay the rent in person. He told me that someone was there yesterday taking outside photos of the property. That person informed our tenant that the property was in foreclosure with a sale date in January. I know the owner and know that the property is nearly paid for. So, it's not likely it's in foreclosure. I called the owner, who promptly faxed me his mortgage payment as proof that the loan was current. What's the scam? Perhaps this alleged "new owner" was grooming the tenant to pay him rent and bypassing our company. This is an interesting, and alarming, new twist to the rental scams that are out there. If you rent from us, verify with us if anyone claims to be the new owner of the property. We'll gladly contact the country Public Trustee to verify ownership of the property. There is a new law passed this year that gives tenants rights during and after the foreclosure process. So, even if the property is foreclosed, don't panic, you have certain rights related to your tenancy. But, most importantly, do not pay rent to any stranger, with or without proof. It's easy to doctor a fake deed or bill or sale. Instead, ask us, your property manager, to verify ownership for you. CityScape recently acquired a 22' Class A motorhome to use as our mobile real estate office. It's perfect for the use due to it's compact size. It does not have a bedroom, so it's much shorter. It does have seating for 10, 2 tables, a DVD and surround sound, a full kitchen including a 4 burner stove, a microwave, a refrigerator with freezer. There's a bathroom with shower and vent fan. There's a rooftop air conditioner for hot days and 2 rooftop vents, one powered. For cold days, there's a forced air furnace with 3 vents. It can be cold outside, but inside is just like a house. Ron Herdt has used it a number of times for real estate open houses. Says Ron, "it's a real attention getter. People stop by just to see the RV. We keep refreshments on board, so it's a fun place to visit and talk business." The "CityScapeMobile" is also a great billboard for the company. It has graphics on it, a Metro Broker logo, a Metro Broker real estate sign. It will soon have 2 stripes running along the sides with a continuous message on each. We have giant open house signs that fit on it when using it at an open house. The signs can be seen for 3 city blocks. You can't ask for greater visibility than that! These are examples of signs made entirely in our office graphics department, or modified to suit. The one on the left has been personalized with our equipment. The one on the right is a 3' x 10' banner, roughly 8 times the size of a normal real estate sign. We use banners when possible because they are easy to see. We sometimes get new management accounts that look like this after we evict the existing tenants. We then work quickly to get the property back into shape in order to rent it again quickly. A lot of our maintenance is done in-house. Any outsourced work is completed quickly by one of our preferred vendors. This property required extensive work to get it in rentable condition. Notice the broken garage door. 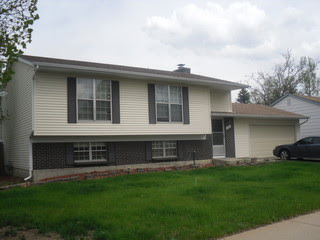 The property is now leased and the owner is receiving monthly income from this property. You can see for yourself what a difference it makes to make the house have better curb appeal. Trust your rental property to a professional. Call CityScape Real Estate, LLC today for a market evaluation. We rent properties, we do lease-options, and we sell properties. In April, we moved into our new facility, a new construction industrial park north of Downtown Denver. This is the first of it's kind, a Metro Brokers office specifically tailored for property management companies and sales associates interested in adding property management to their income. The office is set up with 4 associate desks, each with a telephone, some cordless. WiFi is installed with the ability to print documents wireless. There is one computer for sales associates use at all times. Once we program an associate's notebook computer to the WiFi, then it automatically links up each time that associate is in the office with the computer. CityScape Real Estate, LLC is a member of NARPM, the National Association of Residential Property Managers, a national organization of residential property managers. One of the key benefits in this organization is the high level of education offered to it's members. Ron Herdt has attended several local and national conventions, in addition to taking a number of classes. This is one of the classes that will lead to the RPM Designation "Residential Management Professional" of which Ron Herdt is a candidate. Rent-ready is the term we use in the property management business. It means the property is ready for occupancy, but not deep cleaned. You can deep clean it if you wish, but the new tenant is not expected to deep clean it when finished. On more expensive homes, the level of cleanliness is higher than an expensive rental. But, it doesn't have to be that way. Owners can hire us to clean and rent-ready the property at, or a little less than, the going rate for such services. We use state-of-the-art cleaning equipment including steam cleaners, expensive carpet extracters, spot cleaners, and top-notch cleaning chemicals from janitorial supply houses. Mini-blinds have a useful life of 3-5 years. After that, they sun fade, warp, get too dusty, break slats, break strings, and generally look pretty bad. The faux wood slat blinds fare a little better, but cleaning them is tricky. Regular drapes are a serious problem. They are expensive to clean and usually are old. It's best not to have regular draperies in a rental property. Cleaning window sills and window tracks is easy with our portable steam cleaners. Window cleaning is nice to do, but costly. Cleaning the screens is nice, and should be done every few years. Painting inside and out must be done to keep the property looking good. We have in-house painting for property interiors, and sub-contract exterior work. Carpet should be professionally cleaned with every move out. If it's not done by the tenant, then it should be done by the owner. If the tenant has been there for a year or more, the carpet cleaning is generally paid for by the owner. We do our own carpet cleaning at a very attractive price for our owners. Carpet and linoleum replacement should be done every 3-7 years, depending on wear and tear. Some tenants are very hard on carpet and linoleum, others very easy. It's not uncommon to have to recarpet after a bad tenant, but that's pretty rare. We can always get a written bid to you for cleaning work for your authorization. We find that owners like to be involved in decision making and like getting proposals in advance. If your property is squeaky clean and ready for occupancy, it will rent much faster and to a much better tenant. So, plan on a quality cleaning job before we start showing your property! 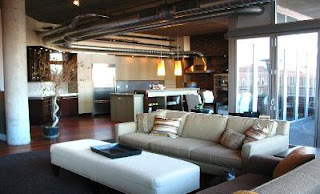 1720 Wazee St., #5-A in LoDo (Lower Downtown Denver) rents for $3300 per month. Key feature: The livingroom glass walls slide back to open it up to the patio, resulting in an even larger living room and entertainment area. The view is worthy of it's million dollar value. SORRY, IT'S NO LONGER FOR RENT. THIS FINE PROPERTY HAS BEEN LEASED OUT BY CITYSCAPE REAL ESTATE, LLC. We subscribe to HeroPm.com which is a web service for property managers. HeroPm.com, formerly known as HomeRentals.net is a stand-alone advertiser, plus it acts as a portal for data entry into many other property management websites. There are about 10 websites that immediately accept the data feed from HeroPm.com. Those sites are: homerentals.net, cityscapedenver.com, Google.com, places4rent.com, RentalsIn.com, SnapRent.com, USAHomeRentals.com, VacancyList.com, RentProperty.com, NARPM.com, and HotPads.com. Once we input a listing into our website, it is immediately broadcast onto these partner websites. From those sites, other websites gather data from those sites. So, this information makes it to a number of websites all with just one data feed from us. There are additional fee-based sites that we use. The fees for these sites is paid for by our owners, per the management agreement. Owners direct us as to which fee-based sites they want us to use, or simply send us advertising funds and we decide for them. Choices include: RentSpider.com, MyNewPlace.com, RentalHouses.com, and RentalHomePros.com. Our favorite sites, are Rentals.com and HomeRentalsPlus.com. We get a lot of leads from those two sites. Both of those sites have partner sites as well. For the biggest splash of all, RentMarketer.com takes the data feed from HeroPm.com and puts it on as many as 50 sites immediately. There are several levels of involvement, including bunching up with other fee-based sites. If you are an owner and want your property rented quickly, a monthly budget of $100-200 will get an amazing amount of exposure of your property to prospective tenants, most likely enough to get the property rented quickly. If you want maximum exposure, then $200-300 per month will buy enough web exposure and local ads to attract prospective tenants even faster. That may sound like a lot of money, but keep in mind that a property that rents for $1500 loses about $50 per day for every day that it sits vacant. If you spent $200 on advertising, you only have to rent it 4 days sooner to recapture your $200 expenditure. Likewise, spending $300 on advertising equates to 6 days rent. In summary, if you want your property rented sooner, send us advertising money so we can place ads for your property. We will send you a detailed summary of all fee-based advertising we do on your property. Any funds left over in your advertising account that are not spent, can be returned to you. We have the advertising choices put together in a "sushi" menu so it's easy for you to decide what level of advertising is best for you and your property. We can email you the form, fax you the form, or send it by regular or priority mail. You can pay us by credit card, ACH transfer, or Paypal. Here is the all new Metro Broker logo. It is now updated with a 3-D image. We will be using this logo on all our advertising as quickly as we can make the changeover. Metro Brokers has been very good for our business. We are pleased to be a Metro Broker company and pleased to be hosting a new Metro Broker office, the first of it's kind suited for companies and agents who want to sell and also do property management. Expansion of our Carpet Cleaning Dept. We've just expanded our carpet cleaning business end of the maintenance department with the addition of air movers. This one, made by the Stanley Co., can dry out carpet and also point upwards for upholstery, or for drying out wet sheetrock or ceilings. 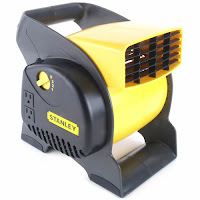 It has 3 speeds and extra outlets, so extra dryers can be daisy-chained for rapid drying. For larger drying jobs, we also have 2 Ridgid Air Movers. These are much larger dryers. When we clean carpet, these dryers can dry out carpet in a couple of hours instead of a whole day without them. That makes a big difference in crunch season where we have tenants moving out the end of the month and new tenants moving in the next day. It's a scramble getting the carpets cleaned and dried out before the new tenant moves in. We presently have 4 carpet extractors of varying sizes from a 3 gallon to 8 gallon size. The smaller ones easily fit into the back seat or trunk of a car. We have an assortment of hoses and wands to do just about any carpet cleaning job imaginable. You can also detail your vehicles with this equipment. Our fleet of rental extractors fits nicely into the back of a pickup truck. Each one will comfortably fit into the back seat or trunk of about any vehicle. So, getting it to the property and back again is easy. For a small fee, we'll even deliver it to you. Our rental machines are roughly twice the size of the grocery store rentals, but not that much heavier. So, you can do the job better in less time for about the same money. You'll be pleased with the results. New benefit for our tenants. If you rent from us and wish to clean your carpets during your tenancy, or at the end of your tenancy, we have a rental carpet machine (carpet extractor) that you can rent for only $30 for up to 24 hours. This price does not include cleaning chemicals, but we can supply them to you for a modest fee. If you need to do stairs, you can rent the stair tool, which also works for tight spots and stairs, for only $10 more. The upholstery tool and hose rents for $10, and works on upholstery and mattresses. For $45, you can rent the machine and all the accessories for up to 24 hours. 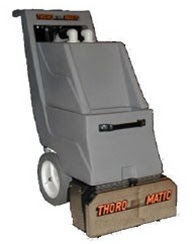 The machine is a Thoro-Matic TC-88 Paragon which is a $1500 commercial carpet cleaning machine. It's much higher capacity and capability than the ones you rent in the grocery stores. You can finish in about half the time of the grocery store rentals. If you don't have to do stairs, then you may not need all the other accessories. It's easy to use and lighter weight than it looks. We have printed instructions and can demo the unit for you at our office. We have also added several smaller machines, which still do a great job cleaning your carpets. They are ideal for smaller rooms and are light enough to carry up a flight of stairs with ease. For information about these machines, please contact our office at 303-288-2400. Most property management companies outsource all of their maintenance requests. Here at CityScape we do much of it in-house. We purposely located in a new office industrial park in order to have an attached warehouse to our office. That is a most unusual move for a property management company, but is servicing us well. We have inventories of parts for our rental management accounts stored in the warehouse for immediate access. In our electrical department we have light switches, outlets, cover plates, light fixtures, wiring, wire nuts, electrician tools, voltmeters, cabling, wiring harnesses for dishwashers, stoves, and dryers. Many of our maintenance requests for electrical can be handled in-house. More complex jobs are still outsourced to our licensed electrician. We have a locksmithing department complete with key cutting machine, key blanks, lock replacement parts, and dozens of locks ready to install. We can master key, key alike, rekey, repair broken doors and often do emergency mobile locksmithing. 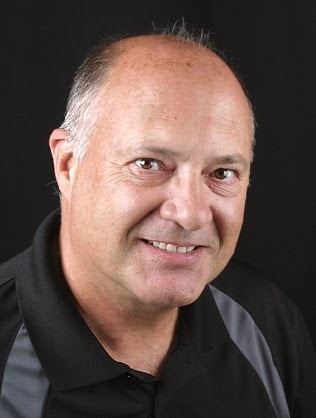 Ron Herdt is a certified locksmith with over 30 years experience. Our plumbing department is well stocked as well. We have sink parts, replacement faucets, pop-up assemblies, toilet parts, dishwasher hook up parts, shut-off valves, supply lines, rubber washers, closet snakes, plumbing specialty tools, and more. We do most of our plumbing in house. About the only plumbing we outsource is drain cleaning and hot water heaters. We have always done inside painting. We have a wholesale account for paint, caulk, and painting supplies. We have ladders of all sorts, an airless sprayer, taping machine, giant tarps, and lots of painting equipment. Whether you need a whole house painted inside, just a room or two, or even just some touch up, CityScape can handle the job. Just last month we started doing our own carpet cleaning. We have several carpet extractors of varying size, aid dryers, carpet spotters, stain removal equipment, and upholstery cleaning equipment. We also have power washers and steam cleaners for tough cleaning jobs. In addition to carpet cleaning, we also have an in-house cleaning department. We do most of our rent-ready maid service in-house. This winter we are doing snow removal on our vacant properties as needed. We added a permanent folding ramp to one of the company trucks, so loading the snow blower (and carpet cleaning equipment) is much easier and convenient. For the past several years we have done sprinkler repair, winterizing, and spring tune-ups to our maintenance department. Our sprinkler tech uses a portable air compressor to properly blow out each valve and all of the lines in the system. In the Spring, he returns to the property and fires the system up. He adjusts the heads, sets the timer, and makes sure the system is good to go for the season. Our on-call maintenance includes roofing, siding, rain gutters, concrete, fencing, handyman repairs of all sorts, glass and screen repair, mini-blind installation, kitchen and bath remodeling, and much more. We often get new accounts that need remodeling before they can be rented out. Not only can we do that for the owner, but we do it very quickly so the property can be immediately rented. We are setup for online tenant maintenance requests. We have a 24 hour maintenance hotline. Our emergency HVAC tech is licensed for both plumbing and heating. His response time is excellent. When you are looking into hiring a property management company for a Denver, CO rental property, please contact CityScape Real Estate, LLC at 303-380-8500. Video of Ron Herdt interviewed while working at the Habitat for Humanity house in Commerce City, CO in Summer 2008. 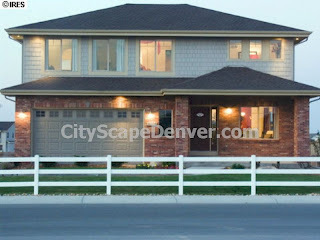 CityScape Real Estate, LLC is a full service real estate company specializing in residential property management and sales in the Denver Metro Area, surrounding suburbs, and nearby cities. We have recently moved into our new HQ in an office/industrial park about 4 miles north of downtown Denver, near the intersections of I-25, I-76, I-270, and the Denver Boulder Turnpike (Colorado Highway 36). The location is ideal for getting to all parts of the metro area quickly. Ron Herdt is the broker/owner. He has an extensive background in property management and residential real estate sales. Our broker associates at this time are: Gene Jones, Renee Nelson, Ken Weinland, and Jack Wilson. 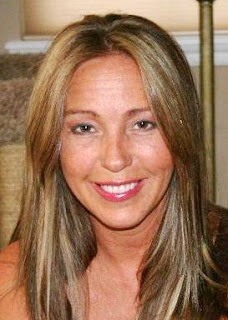 Julie Lierman is our full time CFO. She is in charge of all the company accounting, property management accounting, collections, and keeping everyone paid. Stacey Jones is our Customer Care consultant.